Effective therapy for treatment of colorectal cancer includes comprehensive and evidence-based therapies that may include a combination of surgery, chemotherapy, targeted therapy, and/or radiation. However, in order to provide patients with the highest quality of care, providers must consider all aspects of survivorship care including: surveillance for recurrence/second primaries, genetic counseling, psychosocial/physical late effects of cancer and its therapies, and preventative lifestyle strategies. 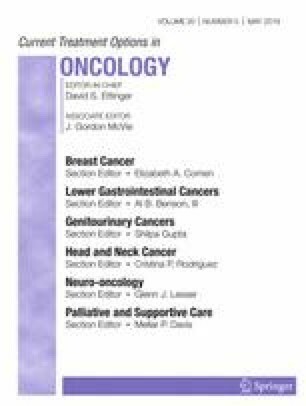 Health systems, providers, and researchers need to identify systematic methods of addressing the unique needs of the survivorship population that include multidisciplinary teams including supportive oncology (i.e., psychologists, social workers), specialties (i.e., cardiology), and primary care physicians. Noone AM, Howlader N, Krapcho M, et al., eds. SEER Cancer Statistics Review, 1975–2015. https://seer.cancer.gov/csr/1975_2015/. Published 2018. Accessed November 18, 2018. • National Comprehensive Cancer Network. Colon Cancer (version 4.2018). https://www.nccn.org/professionals/physician_gls/pdf/colon.pdf. Accessed November 11, 2018. This is the most recent version of the NCCN guidelines for colon cancer that guides diagnosis and management of cancer. • National Comprehensive Cancer Network. Rectal Cancer (Version 3.2018). https://www.nccn.org/professionals/physician_gls/pdf/rectal.pdf. Accessed November 11, 2018. This is the most recent version of the NCCN guidelines for rectal cancer that guides diagnosis, and management of cancer. • Stoffel EM, Mangu PB, Gruber SB, et al. Hereditary colorectal cancer syndromes: American Society of Clinical Oncology clinical practice guideline endorsement of the familial risk-colorectal Cancer: European Society for Medical Oncology clinical practice guidelines. J Clin Oncol. 2015;33(2):209–17. https://doi.org/10.1200/JCO.2014.58.1322 This is a guidance document for clinicians to diagnosis and follow patients with hereditary syndromes. • National Comprehensive Cancer Network. Genetic/familial high risk assessment: colorectal (version 1.2018). https://www.nccn.org/professionals/physician_gls/pdf/genetics_colon.pdf. Accessed November 11, 2018. This is guidance information from NCCN of genetic/familial syndromes associated with colorectal cancer. •• National Comprehensive Cancer Network. Cancer-related fatigue (version 2.2018). https://www.nccn.org/professionals/physician_gls/pdf/fatigue.pdf. Accessed November 11, 2018. This is guidance information from NCCN on cancer related fatigue. USA Today/Kaiser Family Foundation/Harvard School of Public Health National Survey of Households Affected by Cancer. http://www.kff.org/kaiserpolls/pomr112006pkg.cfm. Accessed November 11, 2018.